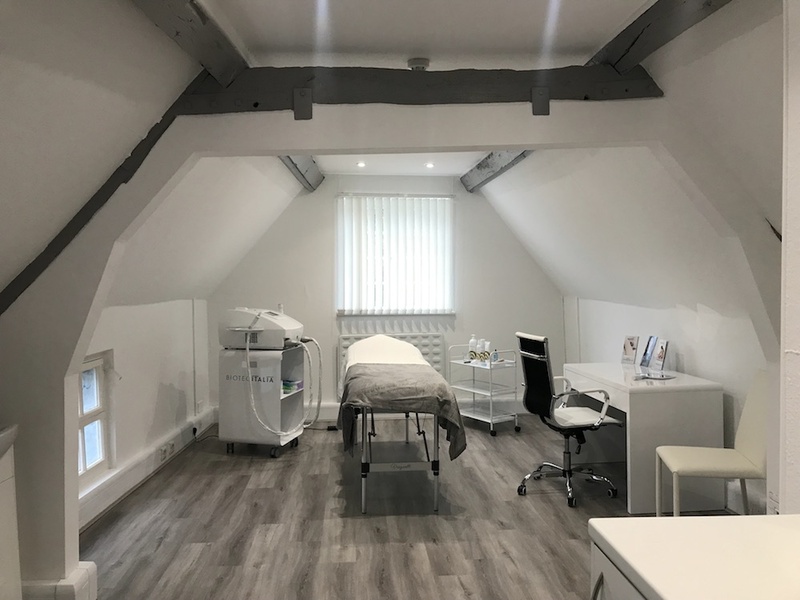 A sleek new skin and laser clinic in Thame has just opened, and yours truly has already been in, tried it out and got the review to prove it! Wanna see? If there’s one industry that I notice massively on the increase in towns and villages across Bucks & Oxon it’s beauty aesthetics. Light touch facials and soothing whale music just don’t cut it for modern clients who now want to see serious results. 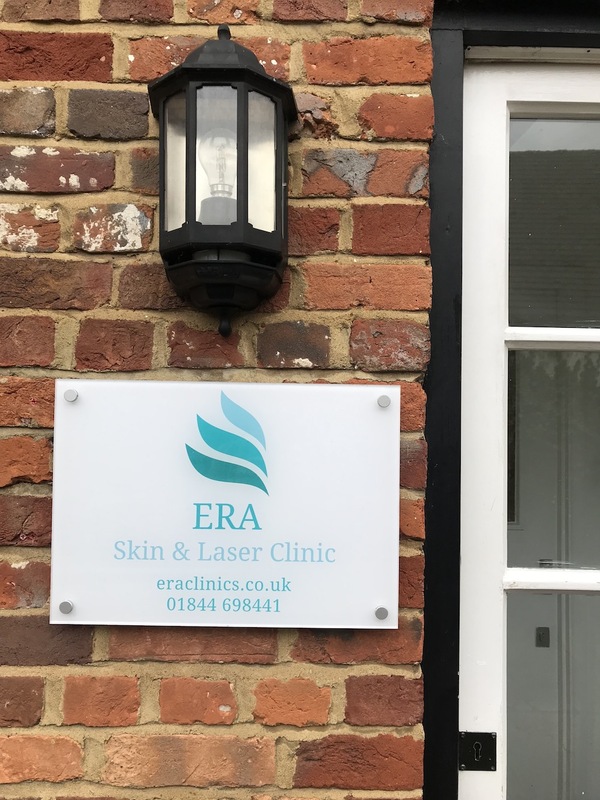 And so voila, as if by magic, ERA Skin & Laser Clinic launched officially this week in an attractive higgledy piggledy beamed building behind Andrew Murray estate agents on Thame high street with the Mayor doing the honours no less (ooooh, fancy!). Time to form an orderly queue, for one of the slickest offerings in town. Minimalist, professional with lashings of white, off white, soothing greys, branded fluffy towels and affirmative messaging (‘no pain, all gain’; ‘just don’t call it a facial’etc). Owner Emma has come via London and there’s a pleasingly urbane vibe. Rooms are appealingly large, the aesthetic machines are brand new, and there’s a generally a feeling that you’ll be looked after well here. It’s all about the results here, and treatments on offer include hydrafacials, facial rejuvenation, laser hair removal, bodysculpting and Cryolipo, a non-surgical fat freezing process, as well as treatments for excessive sweating and rehydration for the back of the hands if, like mine, they’re now looking more chimp than human. Unlike many aesthetic clinics I come across, ERA has an experienced doctor on board to administer the procedures – Dr Arora trained at Bart’s and the London University of medicine and dentistry, with a post graduate diploma in dermatology from Queen Mary University, and has been a doctor for over 10 years. That’s massively reassuring, because the last thing you want is someone straight off a 2 day course playing with injections or electric currents, right? 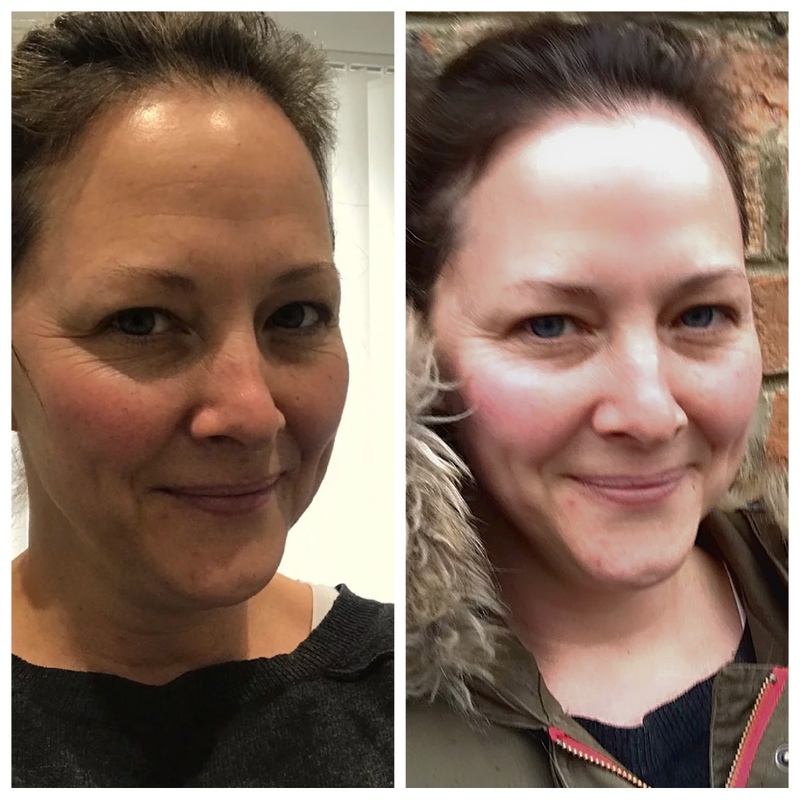 I had the non-surgical face & neck lift, known as HIFU (high intensity focused ultrasound), a painless and non-invasive way to reduce wrinkles. 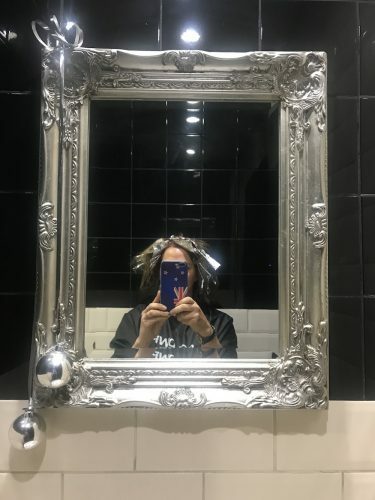 It would take about 30 treatments to sort mine out good and proper – you can tell I’m a woman who’s never been near the botox needle! – but even with one treatment you can see a difference, so if you’re not keen on needling like me, it’s a good option. 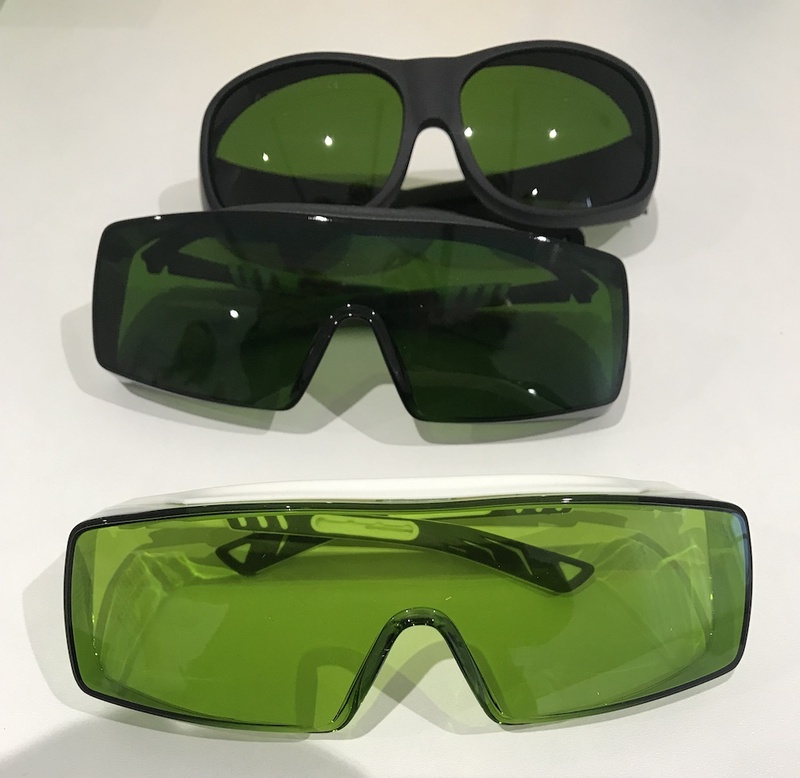 The highly concentrated ultrasound waves penetrate deep into the skin and stimulate collagen and elastin production with 20% of the result seen immediately after the treatment and full results showing 3-6 month later, if you choose to have the full programme. Bit hard to tell below but I saw a definite improvement in my wrinklage. 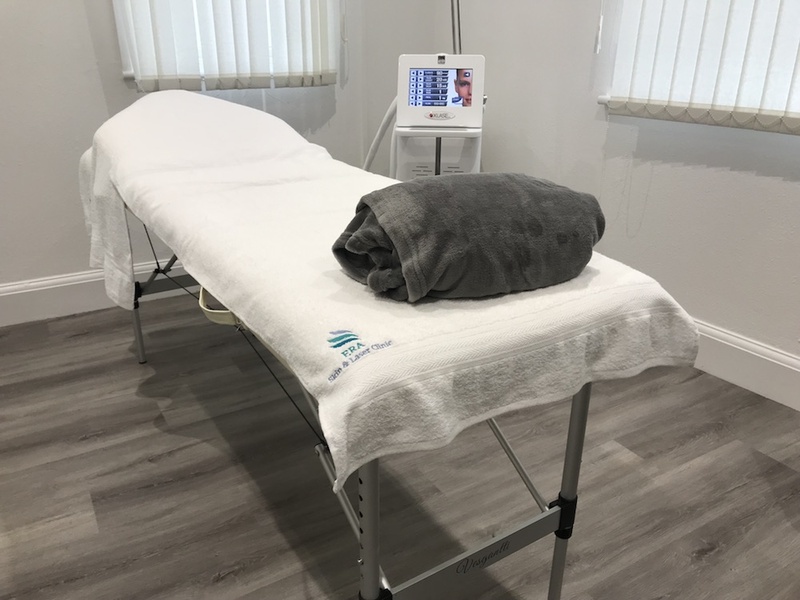 I really liked this clinic and I’m going to go back for some IPL (Intense Pulsed Light) treatment as I’m starting to get some sunspots and broken capillaries – I know, how glamorous! Another friend is booking in for laser hair removal. So I think it’s fair to say Era has made an early good impression. 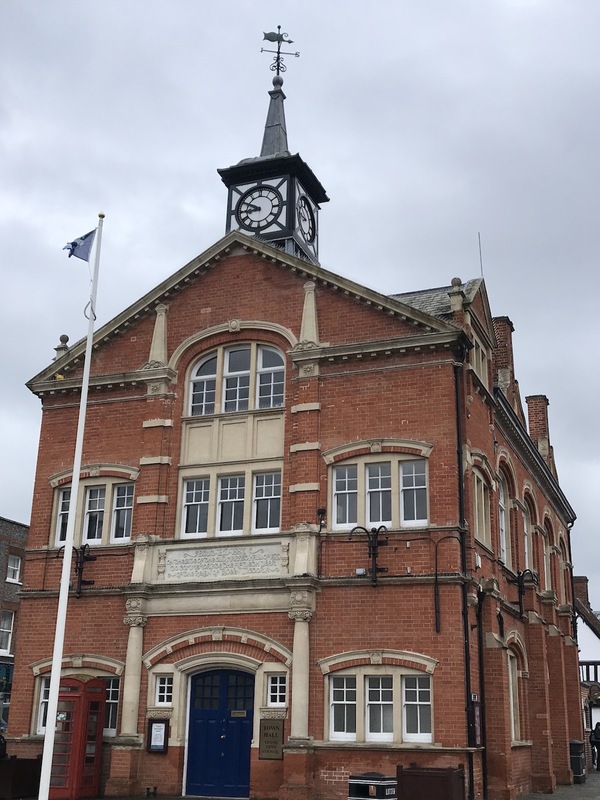 Thame feels like it’s on the up at the moment, and you can quite happy mooch the high street for an hour or two. 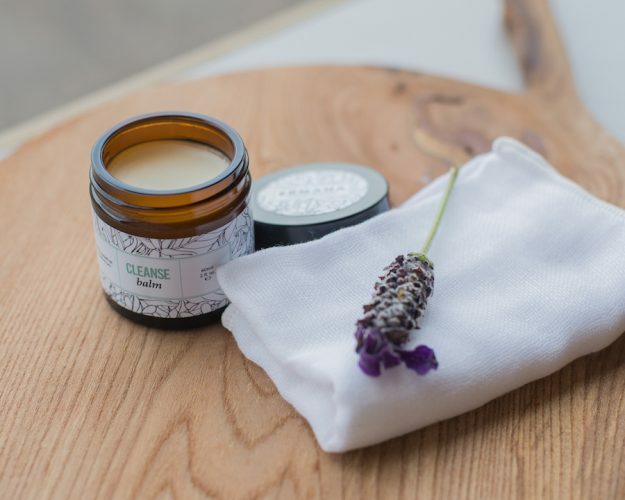 Head to FROM for gorgeous gifts, Pretty Like Pictures for some accessible, throw on the wall art, Woodworks Trading for coffee in stylish surrounds, The Book House for Muddy-Award-winning indie creds, or The Six Bells for a relaxed pub lunch. Mint Velvet has just popped up in the town too, which is biiiiiig news for local shoppers. Good for: Those putting results above relaxation. This is an aesthetic clinic through and through and it does it well, with properly trained medical pros. Not for: Nervous parkers. There’s assigned car parking but you have to go through a perilously tight arch. Perhaps better to use the central car park in the town (free for 2 hours) and wander down. ££: Average for a town aesthetics clinic I’d say. I can’t vouch for the botox clearly but prices start at £150. 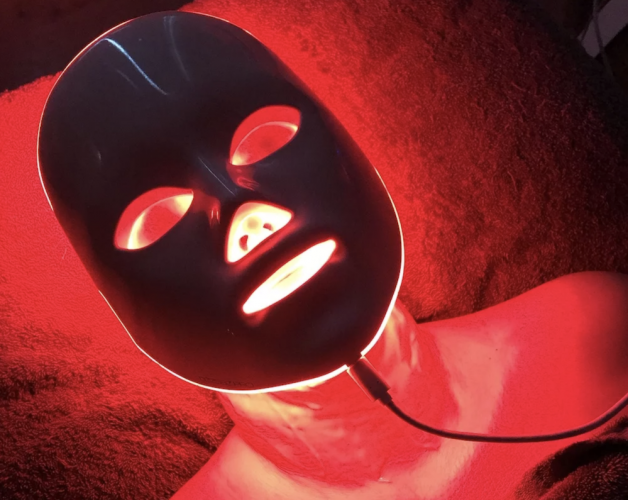 A lower face course of HIFU costs £595 (multiple treatments), and a single round of IPL costs from £125.